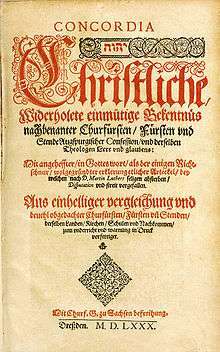 Luther's Large Catechism consisted of works written by Martin Luther and compiled Christian canonical texts, published in April 1529. This book was addressed particularly to clergymen to aid them in teaching their congregations. 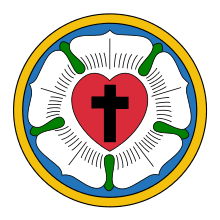 Luther's Large Catechism is divided into five parts: The Ten Commandments, The Apostles' Creed, The Lord's Prayer, Holy Baptism, and The Sacrament of the Eucharist. It and related documents was published in the Book of Concord in 1580.